I went to the flea market last weekend and bought myself a Mexican cookbook for only $3. I was very excited because the book provided me with a little history lesson on Mexican food, described various ingredients used in Mexican cooking and had tons of authentic recipes. I had some left over rotisserie chicken from Costco and wanted to find a simple recipe inspired by the cookbook and use up all the left over rotisserie chicken. 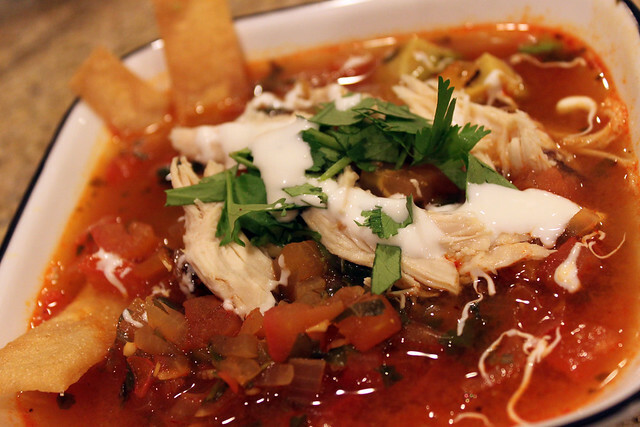 Tortilla Soup was the perfect match! I prepped the ingredients, cooked the soup and fried tortilla strips in about an hour. It would have been quicker, but I had stop for 15 minutes to feed Emily. The dish was very comforting for a cold night like tonight. While I was eating the soup, I was thinking that this soup might go very well with Vietnamese vermicelli noodles. I am very tempted to try it. I might just do that and let you know how it taste. Dice onions and mince garlic and jalapeño and put in a bowl. 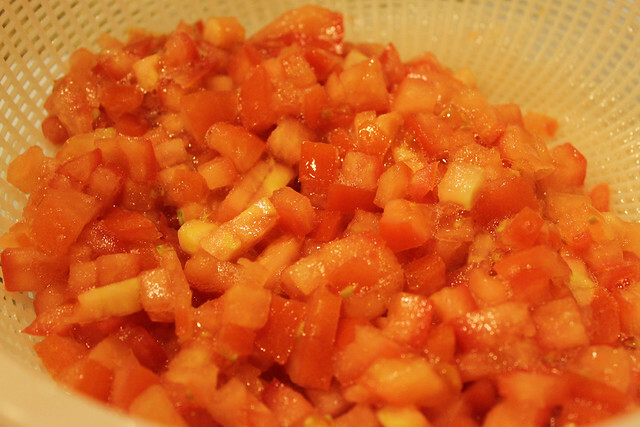 Dice tomatoes and put another bowl. Mince Chipotle pepper and set aside. Shred rotisserie chicken and set aside. If you don’t have cooked chicken available, add chicken to step 4 and cook it until cooked. Add olive oil to large heavy saucepan and turn on Medium heat. 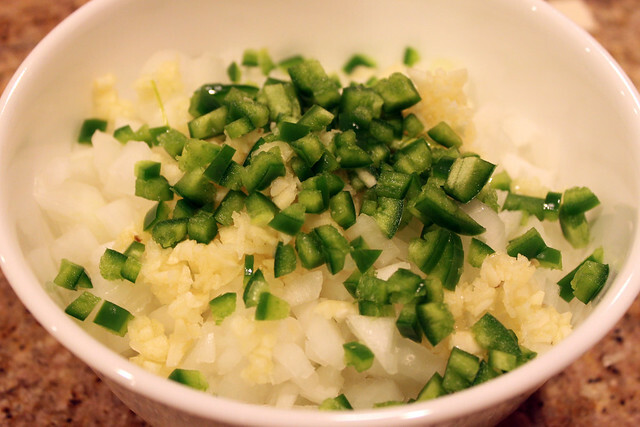 Add the diced onion, minced garlic, minced jalapeño, chili powder, cumin and cook over for 3-5 minutes, stirring occasionally until onions are soft and translucent. 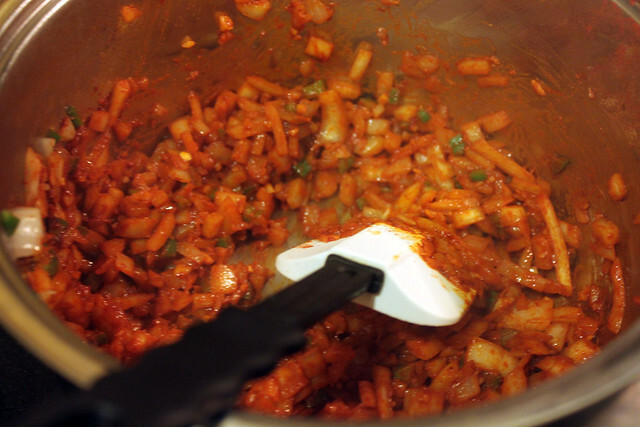 Add diced tomatoes and stir until all the ingredients in pan are combined. Pour in the chicken broth and stir well. Bring to a boil, then simmer for 20-25 minutes. Add chopped cilantro, squeeze lime juice to soup and stir. 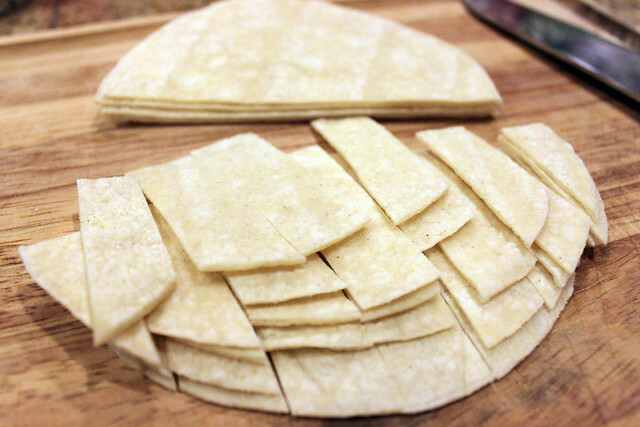 Take a bunch of 6-inch corn tortillas and cut in half then cut into 3/4 inch strips. 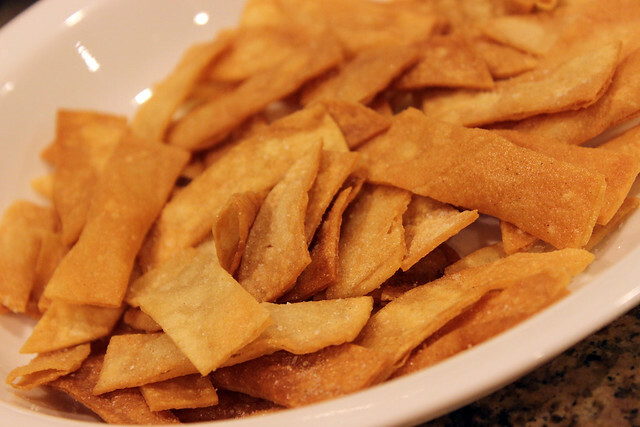 Pour vegetable oil in a frying pan and fry tortilla strips on medium heat until brown. 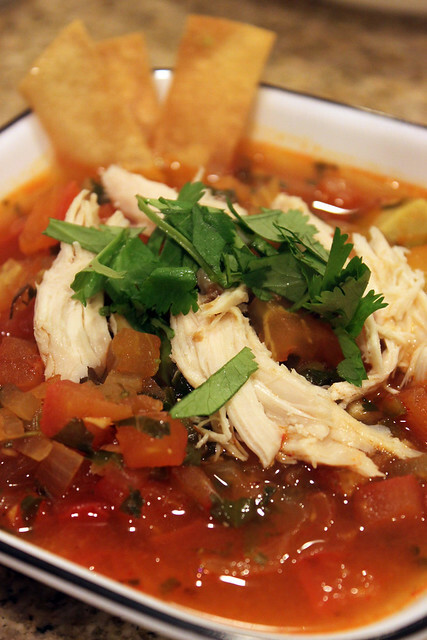 In a soup bowl, add a layer of tortilla strips, shredded chicken, and avocado. Pour a few ladles of broth on top. Garnish with additional toppings and serve hot.